Formulated to specifically help immune, digestive, brain and heart functions and to help calm anxious or nervous dogs. Bursting with minerals, vitamins and nutrients, it offers multiple health benefits. Offered in a ready made, easy to feed liquid supplement which even the fussiest of dogs will love. 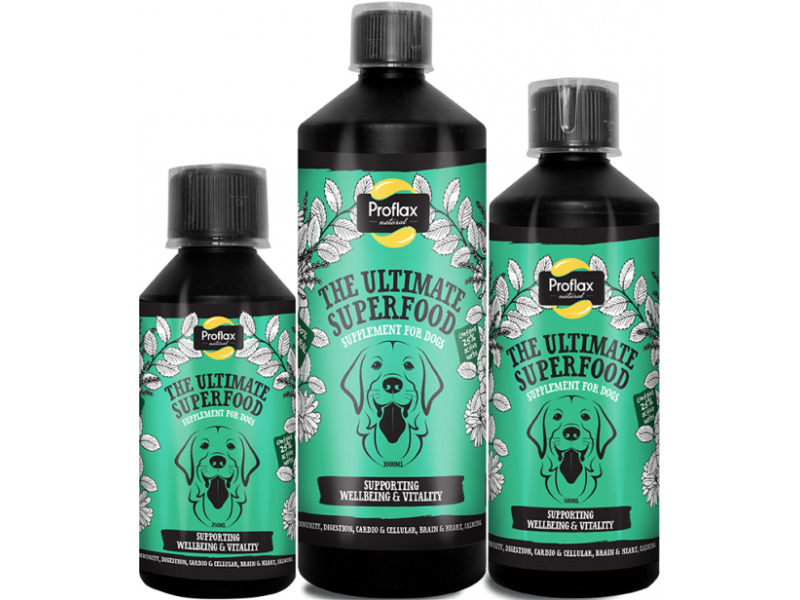 Ideal for dogs that are highly strung or anxious, need digestive support, or simply to maintain their good health, this formula also contains herbs that help to balance, cleanse and heal. 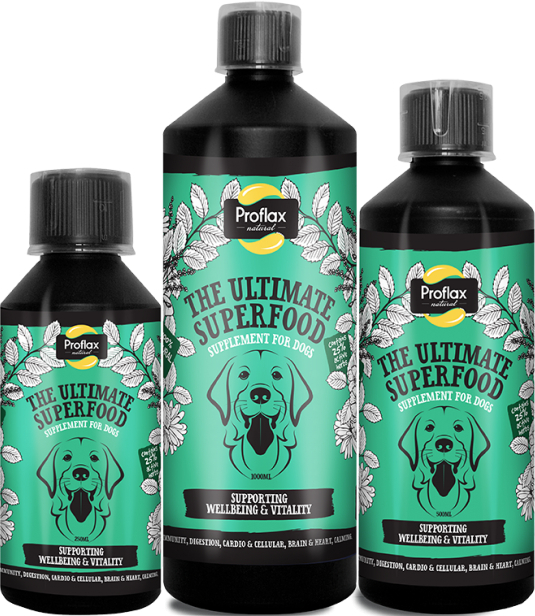 Consists of pure cold pressed omega 3 rich flax oil and active herbal extracts apportioned in their correct percentages and working synergistically by a qualified holistic vet. There are currently no questions for Proflax Natural Wellbeing & Vitality - be the first to ask one!